Home » The Tony Robbins Blog » Career & Business » Are you sharing or selling? Are you sharing or selling? Social networks are a great place to share content, to interact with others, to listen in on what’s happening, and yes, if approached carefully, social networks can also be a way to get the word out about you and your business. However, as I review individuals’ business-related social streams, I find way too much selling going on. Too many companies are shouting into the social world. When I speak with people at Business Mastery, many want to know, specifically, how to use social networking feeds such as Twitter, Instagram, LinkedIn and Facebook to communicate effectively as a marketing and sales tool. While there is no right or wrong when it comes to content creation and sharing, I’d say that a loose guideline may be helpful as a way to think about the various uses of social networks. 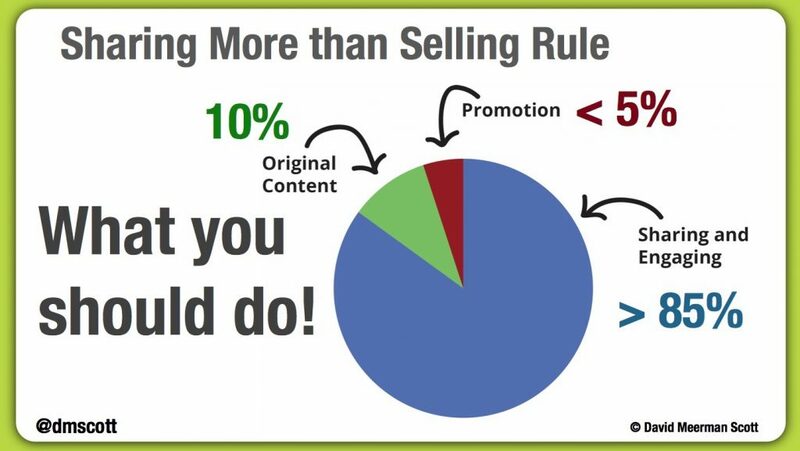 As a way to think about your social activities, I’d suggest you should be doing 85% sharing and engaging, 10% publishing original content, and only 5% or less about what you are trying to promote. Sharing and engaging include such things as commenting on someone else’s blog or Facebook post, quoting a tweet and adding your take, sharing a photo of somebody else, or responding to somebody who has said something that interests you. You can also share an interesting blog post or news report with your network. Most people, especially those new to social networking, don’t share and engage enough. I’d say you should be doing it with at least 85% of your social interactions, but it could be much more. Since sharing and engaging are the easiest aspect of social networking, it shouldn’t take much for you to do more of it. I’d recommend that 1 out of 10 of your social interactions be publishing something original. You can write a blog post, tweet about something that interests your marketplace, or publish a video. The more helpful this content is to your buyer personas, the better. Many people worry about social networks as a tool of business because they think that everything they do has to be new content. But I suggest only 10% needs to be! One out of 20 interactions (or fewer) can be something that you want to promote to your audience. This is when you can share a new product your company offers, a special discount for social followers, or other content of a promotional nature. Most people sell way too much, and, as such, their social feeds don’t have much interaction. People just don’t want to be sold to. However, if you are helpful and engaging and responsive on your social feeds, then you build an audience who will want to hear from you and who will be receptive to learning more about what you and your organization does. Nantucket Island is my favorite surfing spot. When I’m there, I’ll occasionally take a lesson at Gary Kohner’s Nantucket Island Surf School. Kohner grew up on Nantucket and started surfing in 1984. He founded the school in the summer of 1999 to share his love of surfing and the ocean with others. Besides offering lessons for people of all ages and weeklong surf camps for kids, Kohner also rents surfboards, stand-up paddleboards, and wetsuits. 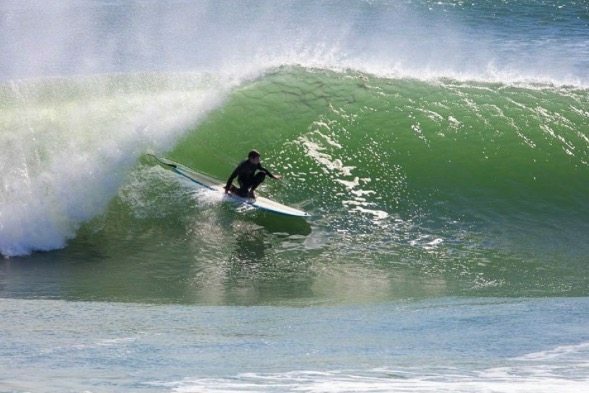 He is an avid photographer and shares photos almost daily on his @nantucketsurfing Instagram feed. Kohner’s Instagram is a great example of the “Sharing More than Selling Rule.” He shares images all the time and very rarely sells his services directly. Yet the beautiful images help to market his business. Instagram is a great social network to share about any product or service that has a visual component or customers who use the product in interesting ways. It also allows those who don’t feel as comfortable creating written content to get their ideas out there. I know for a fact Kohner’s Instagram is helping market his business. When people who know I love surfing ask how to get started, I just point them to Kohner’s wonderful photos. That often leads to them signing up for lessons. Instagram allows users to comment on each other’s photos. Many people pay attention to those who tag them in these comments. If you use Instagram for your business, you should pay attention, too. For example, when I shared a photo of me wearing my Nantucket Surfing T-shirt and hat on Hawaii’s North Shore, I included this caption (tagging Kohner’s Instagram ID): “Showing my @nantucketsurfing colors at Sunset beach prior to watching the Vans Triple Crown.” Kohner responded to me: “I’ll be there tomorrow! How long are you going to be around the North Shore?” And I replied: “Hey Gary. I just left. . . . Have fun! It was my first time and loved it.” A friendly approach like Gary’s is a great way to acknowledge or endorse customers who take the time to talk about you and your product or service. Kohner’s Instagram helps keep his business top of mind with the typical family that visits Nantucket for a few weeks each summer. 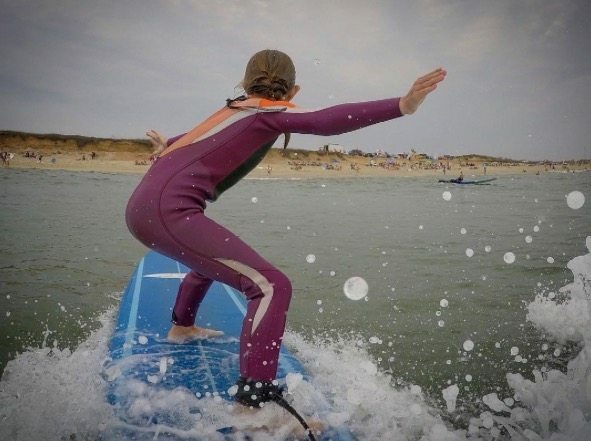 When the kids follow Kohner’s photos all year long and Mom and Dad ask the kids what they want to do while on Nantucket Island, the first thing they’re going to say is that they want to go back and take some surfing lessons. 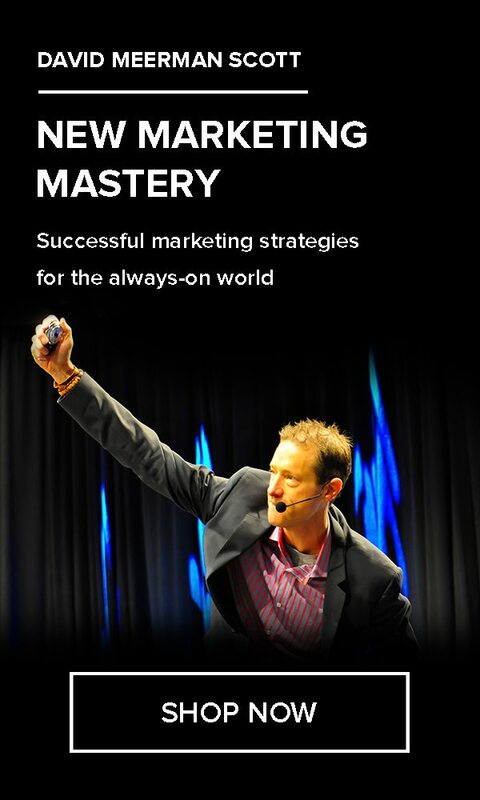 David Meerman Scott is an internationally acclaimed sales and marketing strategist who has spoken on all seven continents and in 40 countries, including Tony Robbins’ Business Mastery events. In partnership with Tony, he created the New Marketing online training program, which teaches entrepreneurs how to align their marketing with the way that people buy.